True, but you made assertions of fact of which you had no actual knowlege (and in some cases contradicted easily ascertainable facts). 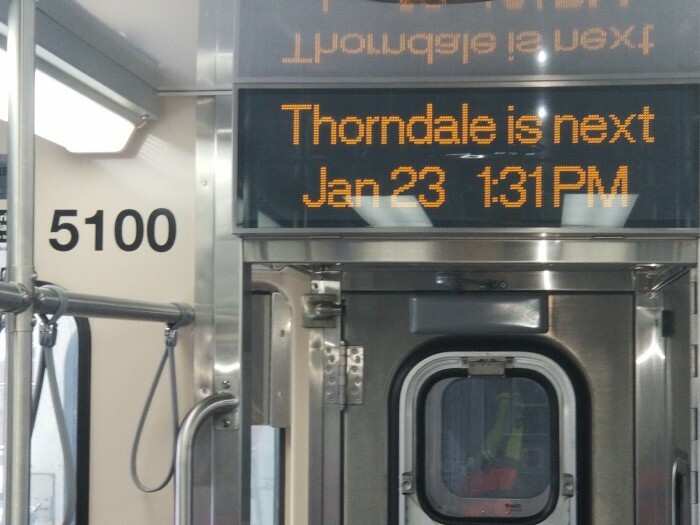 At least I said that while I was reporting on what CTA posted, I wasn't vouching for it. But if you think you are accomplishing something posting statements of fact, that when challenged you write off as opinion, that's your business. That still doesn't make statements such as "5000s can run on the Blue Line" "the journals failed," or regarding the number of cars and pits in the shop facts. And, other than pointing that out, are not worth a reply. I don't know where they taught you that facts were opinion..Most elementary schools taught that they aren't. And BTW, you don't posit stawmen and expect me to follow them down a rat hole. You did that several times in this topic. I never said they were facts. Sometimes you can't have all the facts. You are the one with a fact obsession. If all we did was post facts we would be no better than the Tribune. This is a discussion board. If everything was facts and we couldnt express our viewpoints we wouldn't have anything to discuss. I don't care if I'm right that's not why I'm here. Your obsession is just the opposite. You think by insulting people it will make you correct. Maybe this is how you do your job but it doesn't say much for you as a person. Why do you have so much negative energy? It's a forum not a bullriding contest. Lol!! The 5000s are chartreuse, have cardboard car shells, and have orange seats. According to your theory, you can't dispute that. Other than that, I'm not going any further with this on the public board. If you want to continue with this (including impugning character), use PM. That is unless you want the David Harrison treatment, in which case I am happy to oblige. But I don't think it is LOL, nor a bulls***ting contest. Best cylinders are moderately high security, usually with seven pins not five, like most household cylinders & padlocks.. The core is removable with a special control key, to allow rapid rekeying if necessary. 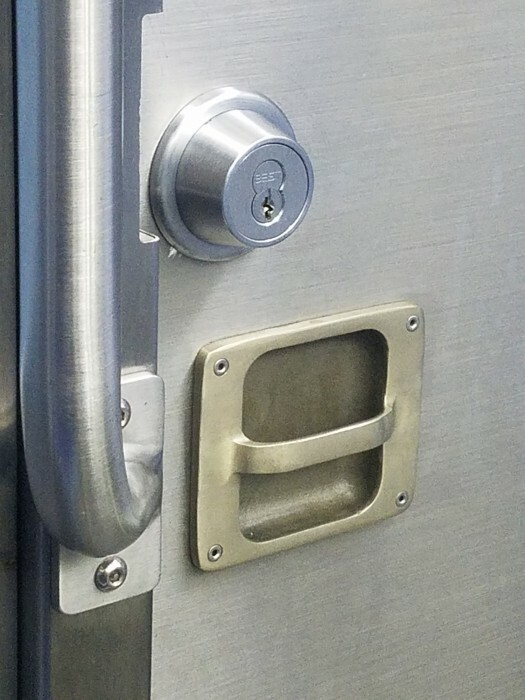 CTA must have realized that after decades of use, they needed a new keyway to prevent all those old keys in circulation from being used. 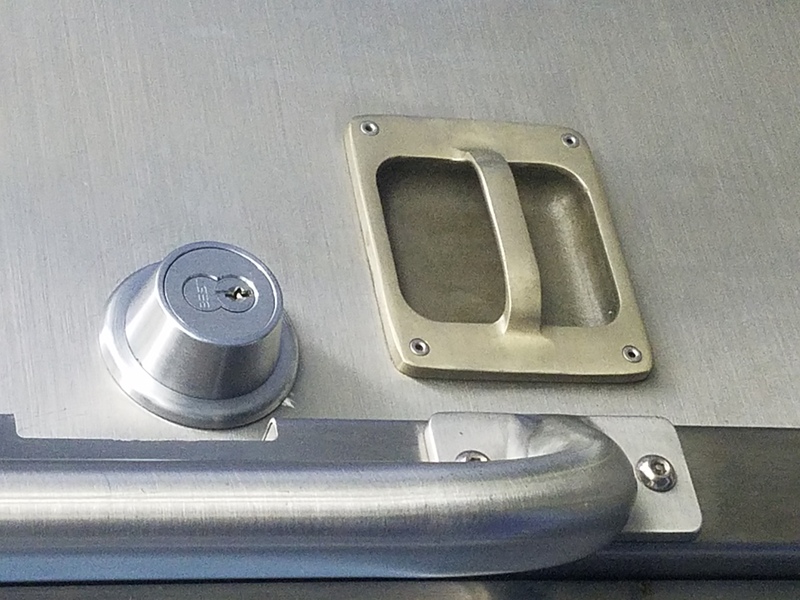 I remember some news articles that vandals & taggers had gotten hold of the current keys, which could be common across the transit and rail industries. Best would be individual keys for each door, but that is totally impractical. So every now and then you change all locks. However in time these keys will end up in nefarious hands also. 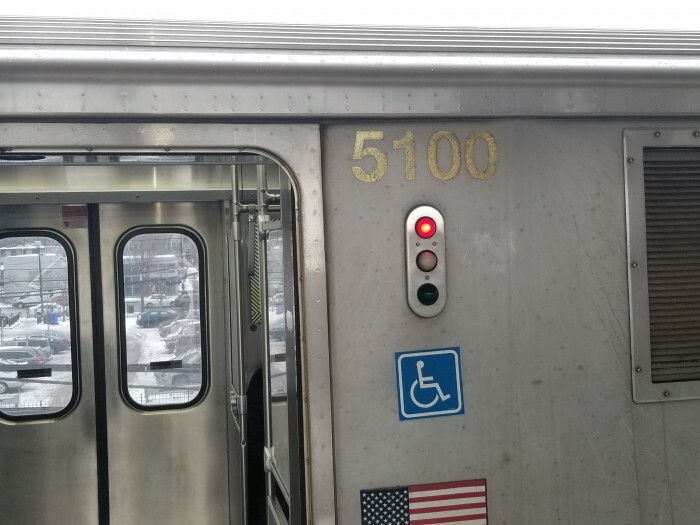 The "coach keys" CTA uses have been used since before CRT days so no wonder there are many out there. Anyone know when this happened & why? 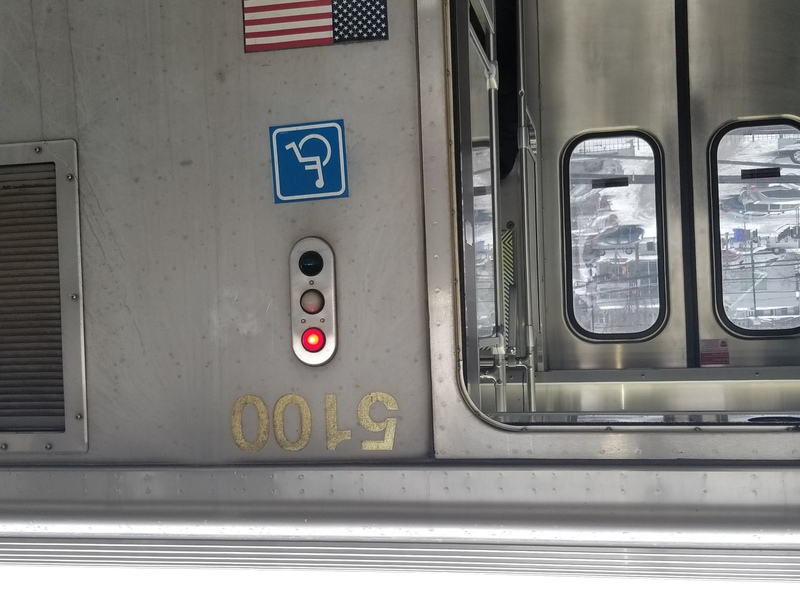 I was on a Red or Purple line train for reference, Car 5603. 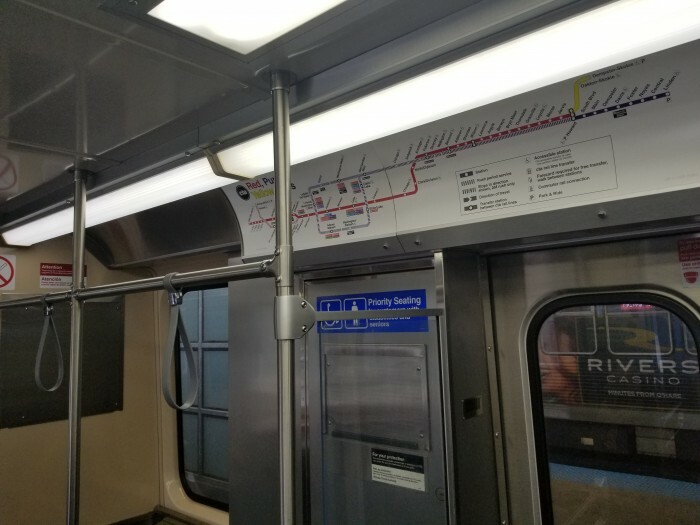 The Tribune or the Sun-Times had an article on the many disgusting things CTA rail operators would see in rail cars including needles for drugs, fences, bed bugs, and other fluids. Most of those things can be absorbed into the fabric of the inserts. The Red and Blue Lines are 24 hrs, which means they host a lot of homeless and other riders that may leave their presence on the trains, especially overnight. The inserts on the back leave a tad bit of comfort while the hard plastic bottom leads to a possibly cleaner bottom. Anyone know when this happened ...? Ordinance 018-107 authorized a contract with Freedman Seating for 20,000 nonfabric inserts for 5000 series cars. But you reminded be that I saw a 4 car consist of 55xxs midday deadheading SB on Green Line tracks at 35th. This was the same day I spotted a 2600 series train pulling int Harlem Yard st 820a. Rode in 5100 going SB towards 95th from Howard with Red Purple Yellow map inside. I could be wrong, but it seems like there will be some cars rotating to even out mileage. Green and Pink cars don't have the mileage of the Red Line cars even though they are older. But we would need to see some Red Line cars move like some already did to Pink for supplemental Blue Line service. 5663 and 5664 are on the Green Line they were there for a while. Anyone know when they came to the Green Line from Red? 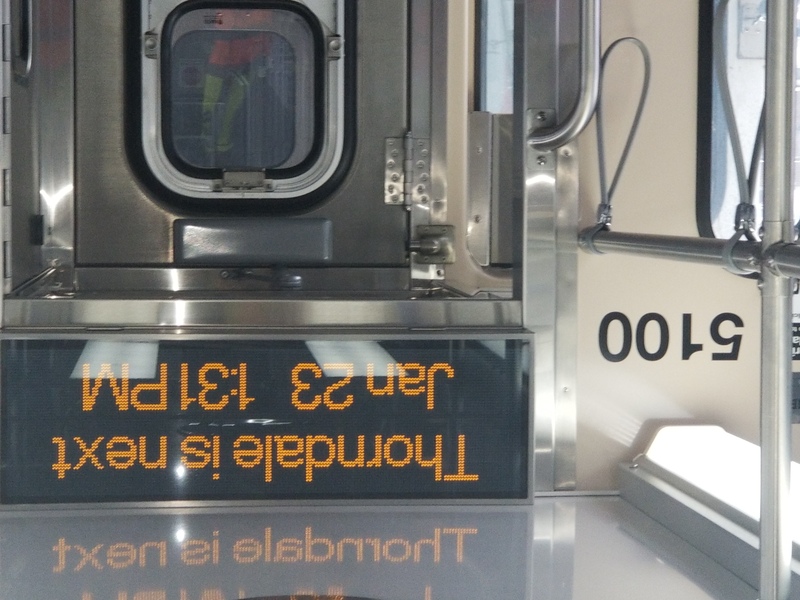 5049 had completely messed up announcements while on the Pink Line last night. They were constantly cutting out, leaving only split-second long fragments, as if it were a terrible TV/phone signal. What could have caused this? Probably a damaged digital antenna that does playback or something. That car is 8-10 years old now, so some components might need repair/replacement. I saw these cars on the Green recently not the Red, these two are mated with GL cars like 5200 and 5199, 5143 and 5144, etc. 5617 and 5618 are also at Green. Red has a surplus of 5000s. It seems like Red and Green are swapping some cars, presumably to even out mileage.